Little Miss has picture day tomorrow at school! Yay! She has leftovers in the form of "build your own nachos". One of her favorites. She also has a side salad with zesty Italian dressing and a peach & pear fruit mix. 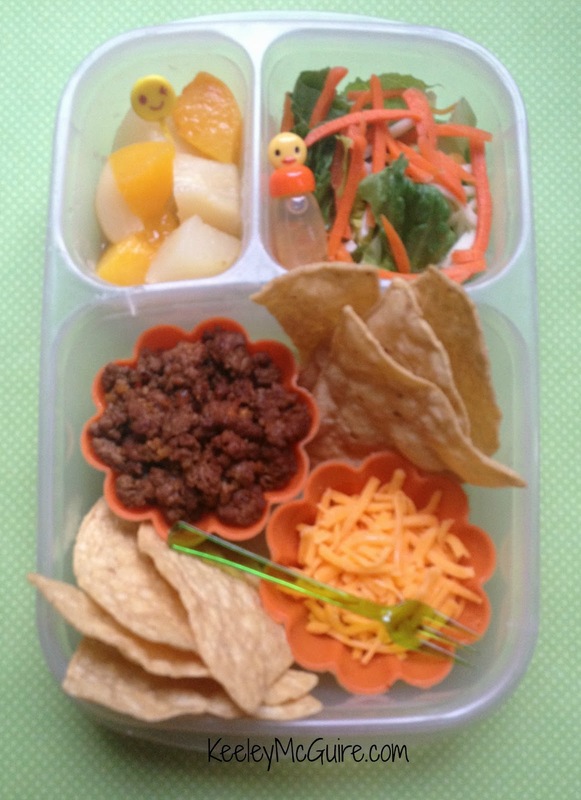 Visit my Lunch Box Goodies tab at the top of this page to find the items that I use in my lunches. I wouldn've put a smiley face pick in the cheese too. YUMMY! My kids would love this. We have made nachos, but I never thought of adding meat.